Before the final match of the season could even get underway Sunday, Manchester United’s fans were leaving the team’s stadium in droves. Local police oversaw the mass evacuation of the soccer team’s Old Trafford stadium, prompted by reports of a suspicious package found in the stands. Now, Greater Manchester Police say that item — which they described as an “incredibly realistic-looking explosive device” — was in fact just a training device. “We have since found out that the item was a training device which had accidentally been left by a private company following a training exercise involving explosive search dogs,” announced John O’Hare, assistant chief constable from Greater Manchester Police. The announcement brings a cheerful — if somewhat curious — conclusion to a day that began with tension and disappointment as fans filtered out of the stadium. Postponement of the match with Bournemouth came just about 20 minutes before kickoff, as players were still warming up on the pitch. “Police evacuated the stadium, Old Trafford, and brought in sniffer dogs,” NPR’s Lauren Frayer reported for our NewsCast unit earlier Sunday. Hours passed as the sniffer dogs combed the stadium’s stands and bomb disposal experts sought to safely destroy the package. A bomb squad carried out a controlled explosion at the stadium; shortly afterward, officials released a statement that the exploded device was not viable. They expanded on that assessment Sunday evening. “While this item did not turn out to be a viable explosive, on appearance this device was as real as could be, and the decision to evacuate the stadium was the right thing to do, until we could be sure that people were not at risk,” O’Hare explained. The English Premier League announced the match has been rescheduled for Tuesday night, when Manchester United and Bournemouth players will take the field once more — presumably with better results this time around. 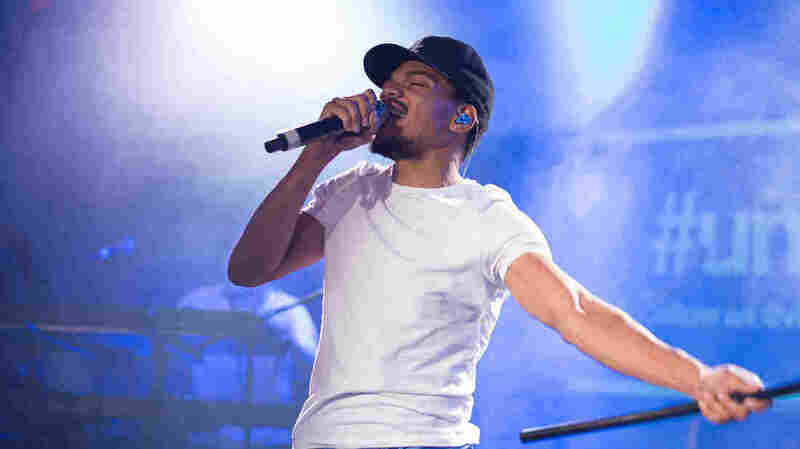 Chance the Rapper is determined. The independent artist from Chicago is a hometown hero. At this point, it’s common to see headlines scurry across your Twitter timeline about his efforts to make his city better. One day, he might be supporting initiatives to curb homelessness; on another day, he might be hosting a youth concert to address gun violence. But now, he’s on a new mission: taking gospel music mainstream, with his new mixtape, Coloring Book. More recently, on Kanye West’s The Life of Pablo, he had a scene-stealing verse on the powerfully spiritual opening track, “Ultralight Beam.” Kirk Franklin, one of the most recognizable names in gospel, was also featured. But alongside Kanye, he took a backseat to Chance on the track. With Coloring Book, Chance is taking it a step further. But he’s doing it in a way that feels like a test run — like he’s easing his listeners into the idea of gospel hip-hop. He calls on the top rappers in the game, like Atlanta’s Young Thug and Future, to assist on songs that wouldn’t be quite welcome in a church. It’s a way to access a crowd that might not have darkened the doors of one in a while. And he brings unlikely collaborators together — like edgy R&B gun-for-hire Jeremih and the hermetic New York band Francis and the Lights — as another way to bridge the gap between audiences. Chance is walking the tightrope between secular and religious, with his devoted followers, who are legion on the Internet, looking up at him. Coloring Book isn’t a complete gospel album. But with its myriad influences and creative directions, it’s certainly praiseworthy. The metropolitan water district of southern California says it will ease up on some water restrictions, but the state is doubling down on others. KPCC reporter Sanden Totten explains. Which TV Shows Will Be Back Next Year? It’s that time of year when TV networks decide which shows to cancel and which to renew for the 2016-2017 season. NPR TV critic Eric Deggans gives an update on the new and canceled shows. NPR Media Correspondent David Folkenflik, Wired‘s Issie Lapowsky and Ethan Zuckerman of MIT discuss allegations of bias against Facebook and social media’s role in the news business. Science can sometimes come across as a stuffy, inflexible collection of facts — absolute truths not to be questioned. At least, that’s the way it is often taught in schools. The reality of science is very different. Scientists are always questioning, holding out the possibility of being wrong, and learning new things by making mistakes. The progress of science is one long sequence if trials and errors — mostly errors. But emphasizing the tentative, always-subject-to-revision nature of science can be taken too far. Science has taught us some things, after all. The computer on which you’re reading this really is made of atoms; future discoveries aren’t going to reveal that the very idea of atoms was just some kind of mistake. Scientific knowledge never reaches metaphysical certainty, beyond the pale of any possible revision; but there’s a lot we know with sufficient confidence that it’s not worth spending too much time in doubt. Essentially everything you see around you as you go through your day is made of just three particles of matter — protons, neutrons and electrons — interacting through a handful of forces — gravity, electromagnetism and the nuclear forces. Together they make up the Core Theory, which has been tested experimentally in countless ways to exquisite precision. The fact that these particles and these forces are all we need to account for ourselves and our environments is as firmly established as the existence of atoms, and similarly unlikely to be overturned at any future time. How can we be so sure? After all, there is unquestionably much we don’t know, from the ingredients of the dark cosmos to what happened at the Big Bang. And scientists through history have an embarrassing track record of proclaiming that we are very close to Having It All Figured Out, only to be proved wildly wrong when the next revolution came along. But we’re not claiming to have it all figured out, or anywhere close. We claim to Have Some Things Figured Out. Those things just happen to include everything you and I are made of. The reason we can be confident that we haven’t missed an important new particle or force that might be relevant to everyday life stems from the power of the basic framework of modern physics, quantum field theory (QFT). According to QFT, you can’t just toss in random new particles in any old way. If there were any new particles or interactions that could possibly play a role in everyday processes, then we could very easily make them or detect their existence, in particle accelerators or searches for new long-range forces. We’ve looked, hopefully and enthusiastically; they aren’t there. It’s natural to imagine that QFT itself is wrong at some fundamental level. That’s certainly possible – anything’s possible. But QFT is extraordinarily robust. If you want to invent a theory that is compatible with the basic requirements of quantum mechanics, relativity and locality (events far away don’t affect what happens here), your theory is guaranteed to look like quantum field theory at the low energies characteristic of our everyday lives. Indeed, QFT is almost certainly not the final word on physics at its most fundamental level. Spacetime itself might be emergent, for example, perhaps out of some tangle of loops or superstrings. But that won’t matter. Just as learning that air is made from molecules of nitrogen and oxygen and other atoms doesn’t change the fact that air is a gas with various properties (pressure, temperature, speed of sound), discovering the quantum reality underlying spacetime won’t change the effectiveness of quantum field theory in the everyday regime. Reality at its deepest level could be something utterly different than we have ever imagined, but we still have a good handle on how it behaves in front of our noses. That knowledge has implications. You can’t bend spoons with your mind, and the location of Venus in the sky doesn’t affect your love life; there’s no way an unknown force can reach that far without us having detected it yet. More profoundly, there’s no way for our consciousness to survive after death; there’s simply no process by which the information in our brains can be preserved once our bodies shut down and decay. As much as people love the excitement of discovery, we also have a soft spot for the romance of mystery. JJ Abrams has made wonderfully compelling movies and TV shows by exploiting the idea of a Mystery Box — a secret at the heart of a story that may or may not ever be revealed. It works well as a dramatic device, but when apprehending reality it’s important to acknowledge what we have learned, and accept the consequences of that hard-won understanding. 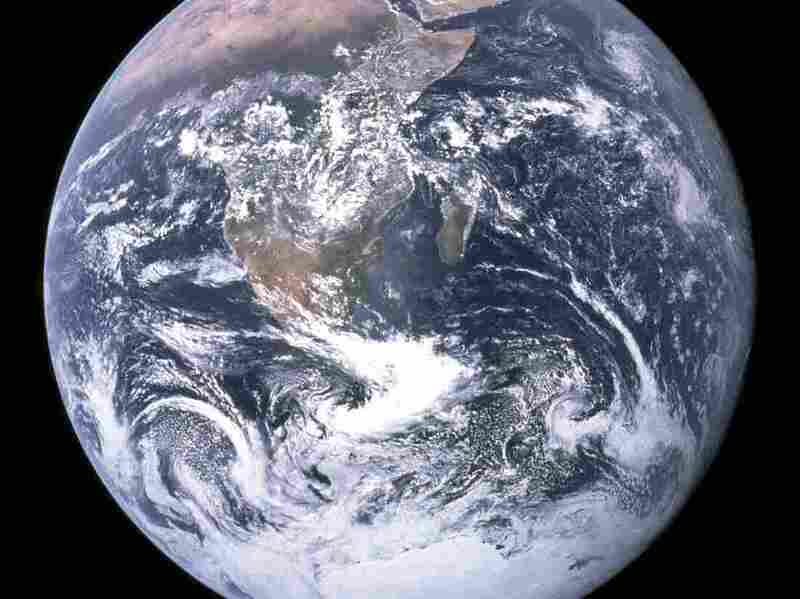 It’s easy, and wrong, to think of scientific truths as fixed and absolute. It’s also easy, and just as wrong, to act as if we know nothing and everything is up for grabs. We have a responsibility to do the hard work of figuring out exactly where the dividing line between knowledge and uncertainty lies, and take seriously what we do know. Sean Carroll is a physicist at Caltech and author of The Big Picture: On the Origins of Life, Meaning, and the Universe Itself. Follow him at @seanmcarroll. 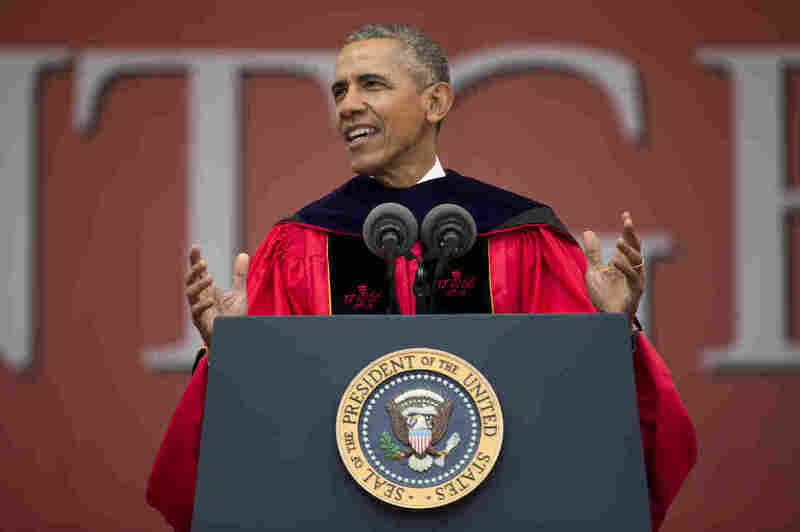 “Class of 2016, let me be as clear as I can be: In politics and in life, ignorance is not a virtue,” Obama told Rutgers University graduates in a commencement address urging broad engagement with the world. His full remarks — which you can watch here — “illustrate a world view antithetical to the ideas espoused by the presumptive Republican presidential nominee,” as the AP reported. As NPR’s Scott Horsley reported, Obama has delivered nearly two dozen commencement speeches since he took office — and each provided a snapshot of a moment in his presidency. “You can track from the 2009 addresses a progression toward an Obama who believes that the economy is prospering and these young people are entering a much better world — implicitly, of course, thanks to his policies,” Kathleen Hall Jamieson, who researches presidential speechmaking at the University of Pennsylvania, told Scott. Obama still has one more commencement address scheduled during his presidency — he’s set to address Air Force Academy graduates at their graduation ceremony next month. Egyptian courts have sentenced 152 people to prison time over a peaceful demonstration against Egypt’s president last month. It’s another sign that President Abdel Fattah al-Sissi will not tolerate dissent, amid a widespread crackdown on opposing voices. 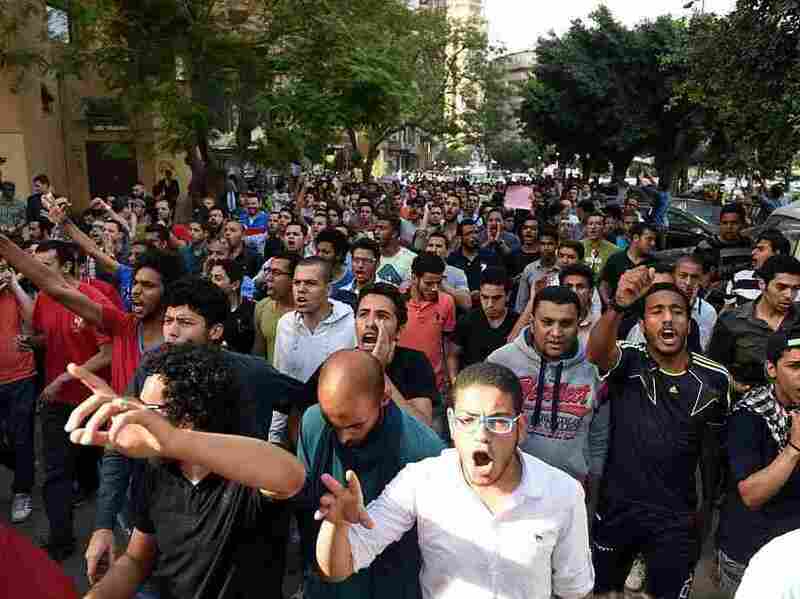 Two separate courts in Cairo ruled against the demonstrators – in one, 101 people were sentenced to five years in prison, and in the other, 51 were sentenced to two years in prison, judicial officials tell NPR. The demonstrators were found guilty of protesting. In 2013, Egypt banned all demonstrations that haven’t received prior government approval. The protests at the center of these trials focused on Sissi’s controversial decision to hand over two Red Sea islands to Saudi Arabia, which he said were actually Saudi territory. Saudi has given Egypt billions of dollars in aid since the coup (which Sissi led) that ousted Islamist President Mohammed Morsi in 2013. The April protests – which amounted to flash demonstrations that police confronted with tear gas – were small by the standards of the mass demonstrations in 2011 and 2013, when Egypt ousted two presidents. But they were significant in light of the brutal political climate. This is seen by many as the most dictatorial regime in Egypt’s recent history. Tens of thousands of government critics sit in prison. Seif, 22, has only had a few months of freedom since her previous prison term. Last September, she was pardoned after more than a year in prison on charges tied to organizing protest in 2014. “I’ve had the experience of dealing with the system as a plaintiff and as a defendant, and now I’m required to play, again, the role of the accused, and the lawyers are required to use up their energy defending me. “Well, this time, I will not play along. I just don’t have the energy. Another year, another grand spectacle at the Eurovision Song Contest. The annual contest pits more than 40 countries against each other, as the Two-Way has reported in this handy primer. It draws tens of millions more viewers than the Super Bowl. Ukraine’s Jamala was the unexpected winner with her haunting song “1944,” which recounts the mass deportation of Crimean Tartars under Stalin’s orders during World War II. After her win, she told reporters that “I was sure that, if you sing about truth, it can really touch people. And I was right.” She added that she dedicated the performance to her great-grandmother and said she prepared for the performance by listening to the soundtrack of Schindler’s List. Russia ended up in third, and Australia took the second-place spot. Eurovision also confronted the weighty topic of the refugee crisis with a dance highlighting their plight. The performance (which aired during the U.S. broadcast between a Justin Timberlake interview and a spoof rendition of a perfect Eurovision act) shows the dancers apparently going through traumatic events before they are eventually presented with water to wash their ash-covered faces. They are then embraced by audience members and disappear in the crowd. Mans Zelmerlow, this year’s co-presenter and last year’s winner, says: “It is more necessary than ever before that we unite and join together, and that is literally what we do in Eurovision, where most of the countries in Europe meet together. …We obviously want to touch upon [the crisis]: anything else would be to bury your head in the sand.” The Guardian reported. The winning act gets to host the next year’s completion – so that means next year’s competition will take place in Kiev. In the parched fields of India’s central states, the district of Beed in Maharashtra has been buffeted by a multi-year cycle of drought. One widow tells her story of coping with drought and loss.